Ferdinand On Blu-Ray/DVD For Just $13.49! 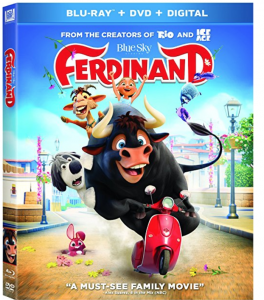 The Blue Sky animated film Ferdinand was released on DVD and Blu-Ray just last year! You can head over to Amazon and grab the Blu-Ray/DVD/Digital combo for just $13.49! If you prefer you can grab the DVD for just $9.99.This was selling for $30+ just last year when it was released so now is a great time to grab your own copy.